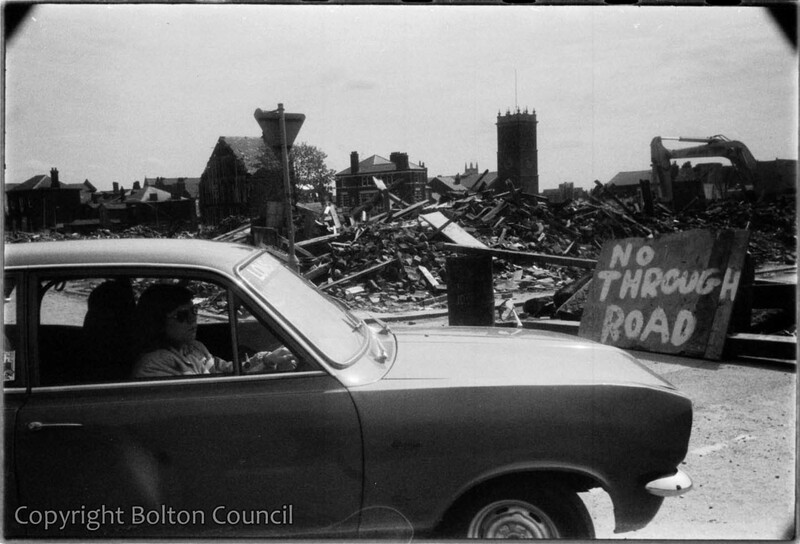 A car drives past the demolition of the Davenport Street area in the early 1980s. St George’s Church is visible in the back of the photograph. Mass Observation had their headquarters at 85 Davenport Street during the 1930s Worktown Survey. Tom Harrisson and other observers lived together in the house. Other Spender photographs in the archive and observer’s diaries in the Mass Observation Archive show how much it was like a modern student house- in a state of perpetual squalor.